Hey travelers! 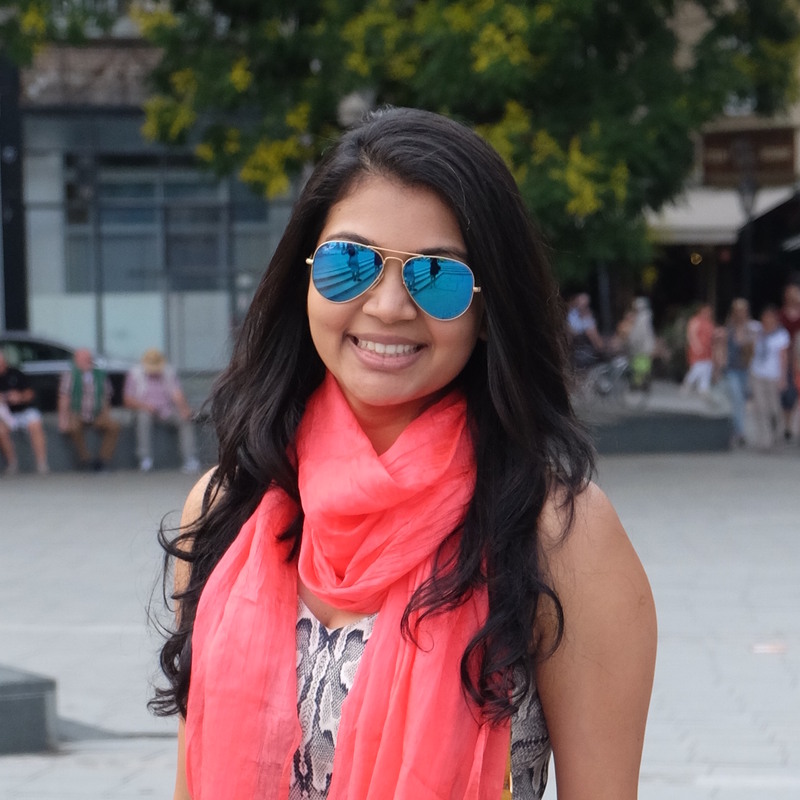 I’m Mehek, a part-time traveler looking for every opportunity to explore something new. That probably explains my education and career choices! After studying chemical and biomedical engineering, I worked in healthcare consulting and digital health, before making the shift to something radically different. I now work in the development sector at a non-profit. I grew up in Dubai and Mumbai, and spent several years on the East Coast of the US, studying and working (shout out to New York City and New Jersey), before returning back home to Mumbai. I’ve been to 33 countries so far, and I’ve set a personal target to get to a total of 45 by the time I’m 45! Seville is definitely one of my favorite cities in the world! What can you expect to find on my blog? I love scouting the best vegetarian food in town, looking for the local coffee shops where you can spend a lazy afternoon, meticulously planning itineraries to the T, and indulging in experiences off-the-beaten-path. My favorite things to do in a city are collecting local street art, taking walking tours, and sending postcards. So far, I’ve taken a graffiti workshop in Prague with Europe’s first female graffiti artist, gorilla trekked in Rwanda, cycled through the Cambodian countryside, and snorkeled between America and Europe! One of the best experiences of my life. Trekking up 9000 ft to see a family of 11 gorillas, in Rwanda! Hi! I'm Mehek, a part-time traveler looking for every opportunity to escape and explore some place new. I've visited 33 countries in the last 28 years, with a goal to get to 45 countries by the time I'm 45! I travel the world in search of vegetarian food options, the best local cafes, and experiences off-the-beaten-path, collecting a magnet from every city I visit. So far I've taken a graffiti workshop in Prague, snorkeled between the American and European continents, and trekked with gorillas in the Rwandan forest. Follow me as I share travel stories, hidden gems and vegetarian food from around the world! Sign up for more travel inspiration and get my latest posts by email!